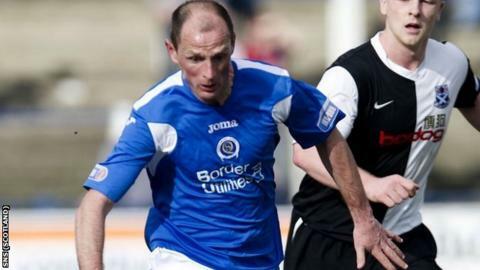 Queen of the South boss Allan Johnston has been named the PFA Scotland Manager of the Year. Johnston, who guided his team to the Second Division title, pipped Celtic's Neil Lennon, Inverness's Terry Butcher and Motherwell's Stuart McCall to the award. Queen of the South were the first team in Britain to win their league and also won the Ramsdens Cup. "I was delighted to be nominated but to win it is a thrill," said Johnston. "It is unbelievable. When you look at the other guys - Neil Lennon and his exploits in the Champions League - it is amazing. Terry Butcher and Stuart McCall have had fantastic seasons as well so even to be mentioned along with these guys, I was honoured." Johnston took over at Queen of the South in May 2012 after their relegation to the third tier.